Estepona is located in the heart of Andalusia and is one of the most beautiful towns in the province of Malaga on the Costa del Sol. Perfectly connected to the most emblematic and must see cities such as Seville, Granada, Cordoba and Ronda as well as less than 1 hour from the international airport of Málaga. 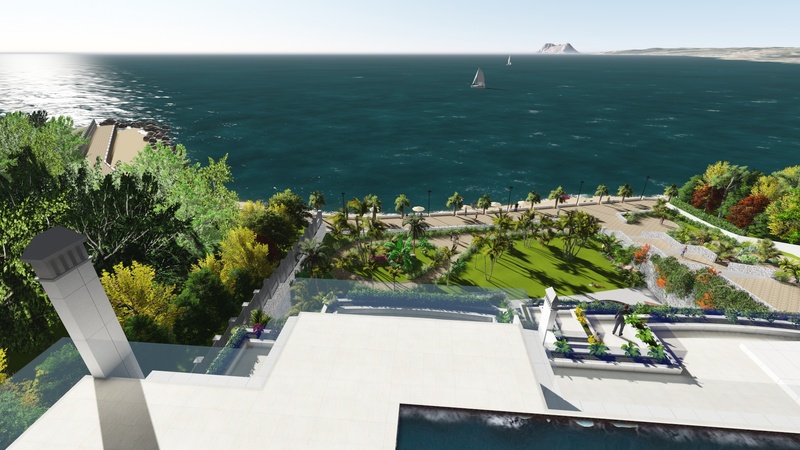 In this paradise at the south of Europe is where we find this brand new exclusive frontline beach development. Situated on a 5.000m2 south orientated plot, a few minutes’ walk from the Estepona Harbour and a few minutes’ drive from the centre of the City. It comprises 18 exclusive and privileged apartments built to the highest standards. Surrounded by 2.500 m2 of subtropical gardens it also includes an indoor gym with the best equipment available today , two heated pools , 24- hour security, concierge service and many more details that make this the best address to live, relax and feel the Costa del Sol. Completion is planned for december 2016.